When we rented our house, it was the first time I had ever had a glass stove top. I was worried about cleaning it so I bought the specially made stove top cleaner. However, this didn’t work about half the time. I happened to be in a used appliance store with my mother and sister when I asked the sales lady how much it would be to replace the stove top if it was damaged beyond repair. The answer was- A LOT. But the sales lady told me that I probably wouldn’t have to. Instead she suggested that we use a flat razor blade ($1 at Dollar Tree) to remove any remaining cooking particles. AND IT WORKED! My stove top looks like new and I never need to buy cook top cleaner again. This is cheaper and it requires less chemicals to be used in my house. Disclaimer- Not all stoves are the same. I recommend caution when trying this on yours to make sure it works for you and doesn’t damage your stove. Click HERE to see the rest of our series USE THIS NOT THAT. I am not afraid to admit that I am a clean freak. 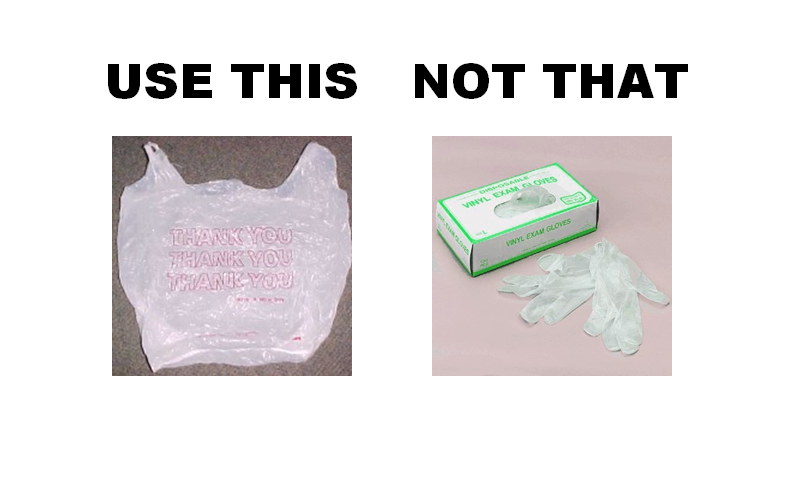 I used to clean using latex disposable gloves but I hated spending money on something that I knew was bad for the environment. Then I decided to try using plastic bags and they work great. My hands are protected from the harsh chemicals in cleaning products and I don’t feel bad when I throw them away because they didn’t cost anything. 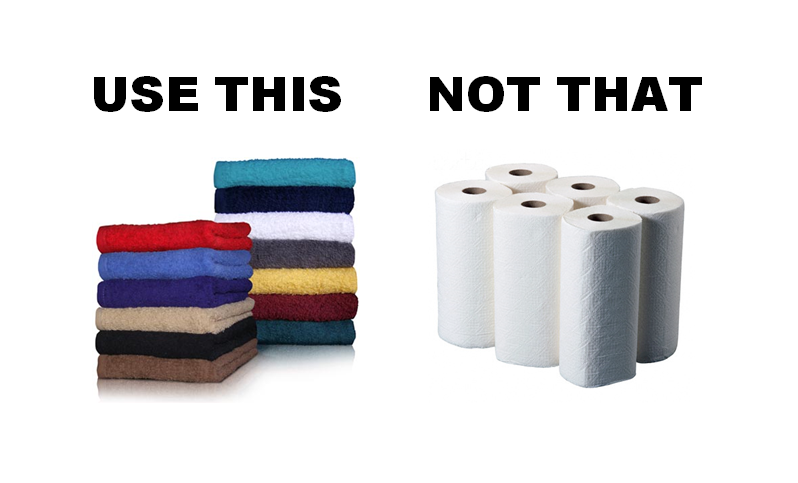 In my kitchen, as often as possible, we use hand towels and rags instead of paper towels. We don’t use many of them but I keep an extra hamper by the kitchen that I throw them in after we have used them. We throw them in with regular household laundry and keep clean hand towels in a drawer. We save trees and money by not having to buy paper towels. I am starting a new series on ShopaholicSavers. 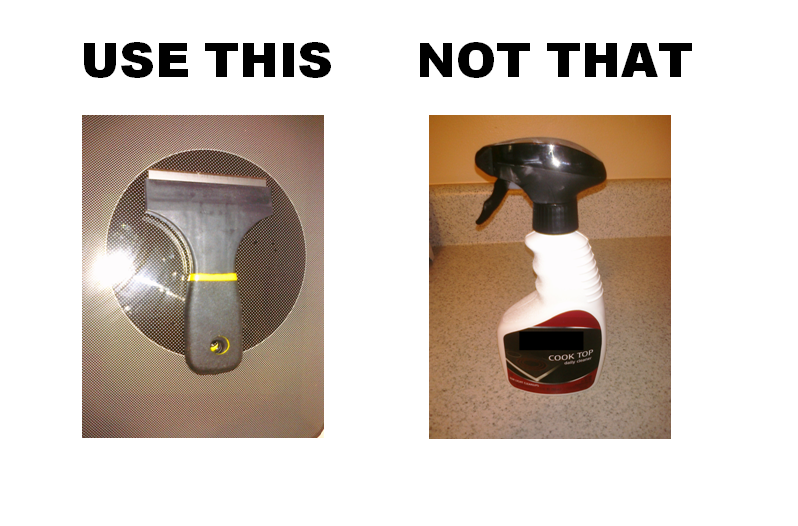 It’s called Use This, Not That. It will focus on simple swaps that you can make that will save you money. The first one is using cardboard boxes instead of plastic storage containers. 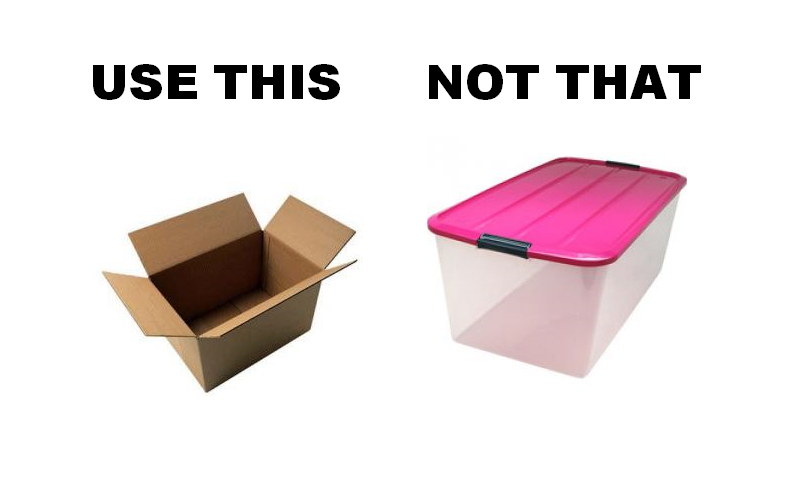 I know that this will not work in all situations but when I am storing things inside my air conditioned house cardboard boxes work just as well as plastic storage containers and they’re free.